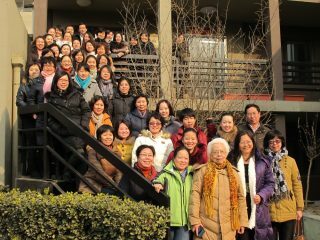 Understated and outnumbered, China’s feminists move and evolve in hostile environment. They discuss gender equality at universities, at women’s NGOs in the big cities, in artistic circles and online, where they spread the word and mobilise other women for the cause. These grassroots NGOs are the most active with campaigners often stepping out into public spaces to raise awareness and fight against discrimination and abuse. In the past couple of years, activists have rallied to “occupy male toilets”, have protested against sexual harassment in the subway and against violence on women outside government buildings.